But after the June 7th primary, dead voters may be just the tip of the iceberg. Thousands of Republican and Democratic voters reported to the Election Integrity Project that they arrived at their designated polling stations on June 7th to find that their party affiliation was changed. Most reported being re-registered “No Party Preference,” California’s version of “Decline to State.” Others said their registrations were dropped, or they received the wrong ballot, which in many cases prevented them from voting for President in the primary. The Election Integrity Project’s Linda Paine said they noticed a pattern in several Southern California counties during Election Day. However, as the polls closed, Paine said they were contacted by large numbers of voters throughout the state upset that their party affiliation was changed, and had to vote using a provisional ballot. What Election Integrity Project wants to know is how many other voters this happened to. In 2014, California State Senator Alex Padilla, D-Los Angeles, was elected Secretary of State. But his race caught the attention of the Election Integrity Project when not one of the 4,681 Los Angles County polling stations had the vote-by-mail indicators on the check-in rosters on Election Day. Linda Paine said volunteers described chaos at the polls as Inspectors and Coordinators realized there was no way to crosscheck who had already voted. Election inspectors reported they received a list of 700 names of vote-by-mail voters they were to manually enter onto the check-in roster on Election Day morning. “It is difficult to understand just how this could have happened,” Paine said. “All responsible businesses have procedures in place to ensure quality control so that materials printed on behalf of their company or organization are accurate.” But this did not happen in LA County. Election Integrity Project volunteers reported that some Inspectors gave up the effort to determine who voted by mail before Election Day and simply gave every voter a regular ballot. Reports also indicated that without time for the Inspectors to ensure the vote-by-mail indicator was in fact placed next to the correct voter, mistakes were made and voters who were regular voters were forced to vote provisionally. Paine said Alex Padilla’s challenger, Pete Peterson, a Republican, lost by about 400,000 votes, of which approximately 350,000 came just from Los Angeles County. The Election Integrity Project had documented more than 60,000 anomalies and irregularities on the voter rolls in Los Angeles County in 2013. Because the county did not respond to the report, it can be assumed that nothing was done about it, Paine said. 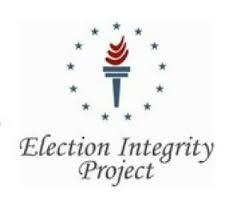 By 2014 the Election Integrity Project provided additional reports to the LA County Registrar. Countless citizens and citizen groups also contacted their representatives on the Board of Supervisors about voting irregularities. 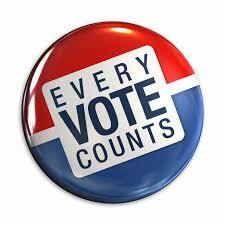 The Board authorized an internal audit, prior to the November 2014 election. The audit was ironically underway during the November election when the vote-by-mail data failed to make it to the polling locations. Linda Paine was contacted by a whistle blower who told her someone in authority must have discovered that the vote-by-mail indicators were missing, but did nothing about it. There are too many checks and balances in place for it to be missed. Following the 2014 election, armed with five years of data of voting irregularities and anomalies (2011 – 2015), the California Committee for the US Civil Rights Commission reviewed the Election Integrity Project’s research and determined that a public hearing was warranted. On August 28, 2015 California citizens from across the state testified of their eyewitness accounts of “how chaos and corruption was destroying the integrity of California’s election process,” Paine said. What Happened On California Primary Day? “I’m not a non-partisan voter,” she said. In fact, Mary said many voters at her polling location – Republicans and Democrats – were told they were registered NPP. Mary challenged the poll workers, and even showed them her Republican Party registration card and Republican Voter Pamphlet she had recently received by mail. “They said ‘Listen lady, you can’t vote. You’re not a Republican,’” Mary said. Mary said she demanded their names and a signed document saying she couldn’t vote. She demanded the poll workers’ superiors’ name. And then she said it got weird. Mary said the three female poll workers told her they weren’t even from California; they said they had been flown in from Rhode Island to work the California Primary. Several other voters who also asked for anonymity each said they witnessed poll workers opening the privacy sleeve of voters’ ballots to read the ballot. Instead of putting the ballot through the reader, the poll worker placed the ballots in a box marked “ballots” under the table. Linda Paine said she received many reports of this happening at polling stations throughout the state. My calls to the Secretary of State’s office were not returned. Paine said this pattern was documented in 2012 in Los Angeles County, but not on the large scale as the California Primary Election June 7. In the 2014 Primary, approximately 1,200 poll workers in Los Angeles “changed their mind about working at the polls,” all at the same time, resulting in a poll worker crisis. Linda Paine said she happened to be at the Los Angeles County Registrar’s office for a meeting, when she overheard two citizens being told they had to speak Spanish if they wanted to be poll workers. She inquired and was told it must have been because all the poll worker positions were filled and they were just looking for interpreters. At the time Linda Paine was told this, robo-calls and emails were being sent to people all over the county looking for poll workers. Something did not add up for Paine. The Election Integrity Project members called out their volunteer force and asked them to report when they got the emails and calls in order to determine what areas were impacted so that they could provide volunteers in those areas to help. But despite the calls for help in finding poll workers, Paine’s volunteers were turned away and told the positions had already been filled. The Election Integrity Project is going to compare polling data in the counties with the statewide data, but they are required to purchase this data from every California County, as well as the data from the Secretary of State. Following the hanging chads incident in Florida in the 2000 presidential election, Congress passed theHelp America Vote Act in 2002, which mandated sweeping reforms, including a statewide voter registration system that would eliminate ineligible voters. But California failed to comply, and for 12 years was the only state that was still not compliant with the act. In 2014, newly elected Secretary of State Alex Padilla announced upon being elected that he planned to have California compliant within the year. “In California, the attendants relied upon to watch the election system are failing its citizens,” the Election Integrity Project said in a 2014 report. Election watchers are now volunteers, trained by the Election Integrity Project to carefully monitor California’s elections to ensure that each vote is lawfully cast and accurately counted. The 2014 report by Election Integrity Project found California’s election system had serious vulnerabilities, no centralized computerized system, no statewide voter registration list, poor National Voter Registration Act list maintenance, non-compliance with statutes protecting lawful voters, and suspected voting fraud. Part ll will cover specific ways elections are being manipulated, the California Committee for the US Civil Rights Commission findings, other issues including why CA used out of state poll workers, and what voters can do to make sure their votes are counted.